The announcement was made on an Academy Street rooftop. 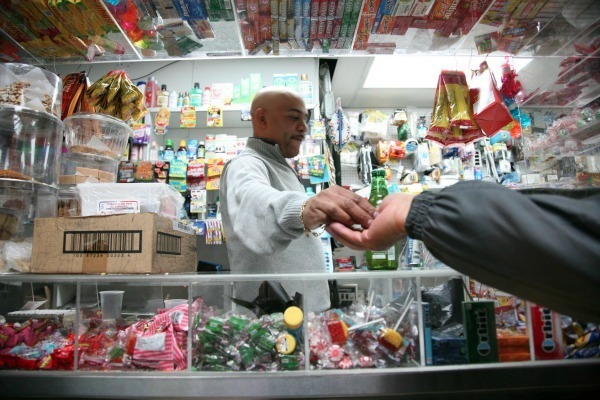 The City Council’s decision on the Inwood rezoning is expected to come in early August. 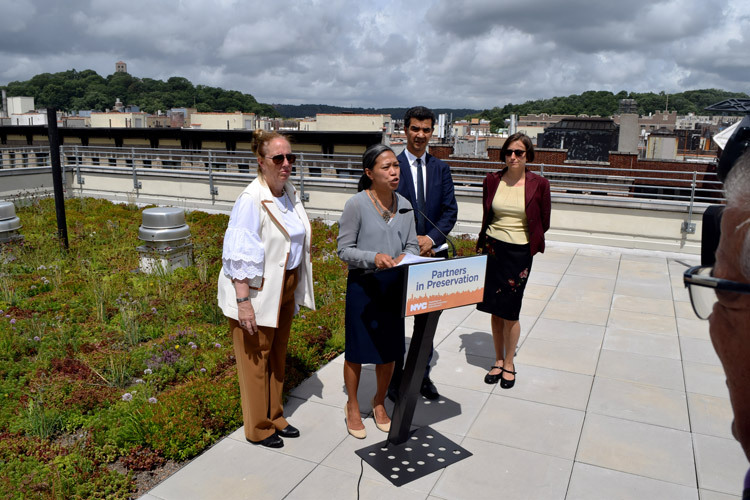 And on Tuesday, city officials took to an Inwood rooftop to announce a pilot program designed to bolster anti-displacement efforts there, as well as other areas targeted for rezoning. The Partners in Preservation program, run by the Department of Housing Preservation and Development (HPD), will help community-based organizations fight displacement in their communities by providing funding for tenant organizing and education, legal assistance, and other programs. The 18-month pilot is slated to begin in early 2019 in Inwood/Washington Heights, East Harlem and the Jerome Avenue area of the Bronx, as HPD Commissioner María Torres-Springer said the program is expected to help nearly 6,000 residents in about 200 buildings in those communities. “It will start by using data so we can really target rent-regulated buildings where the prospect of harassment is most likely, then we will establish action plans very specific to that neighborhood,” she explained. Torres-Springer said HPD would issue a Request for Proposals (RFP) in the fall to solicit community-based organizations to partner with.